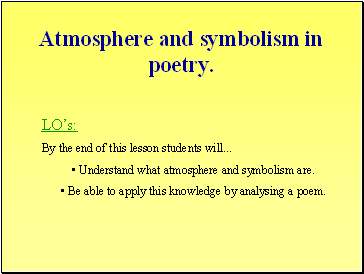 Atmosphere and symbolism in poetry. 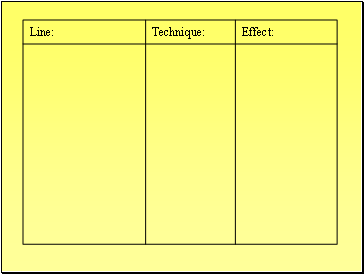 By the end of this lesson students will . 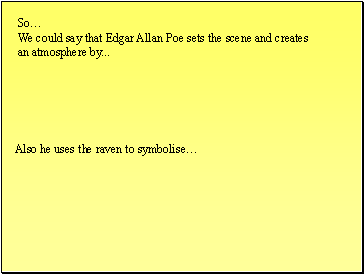 Understand what atmosphere and symbolism are. 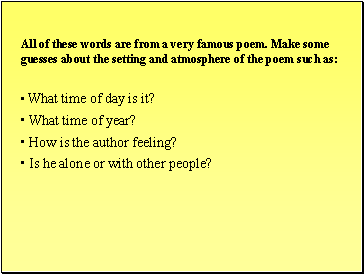 Be able to apply this knowledge by analysing a poem. 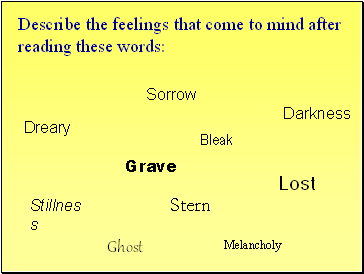 How is the author feeling? 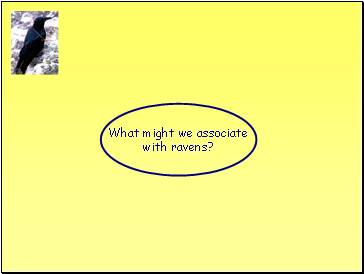 Is he alone or with other people? 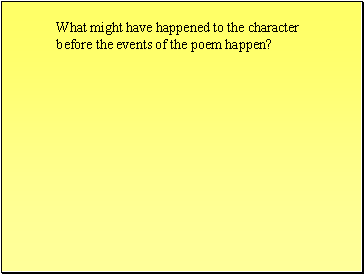 What might have happened to the character before the events of the poem happen? 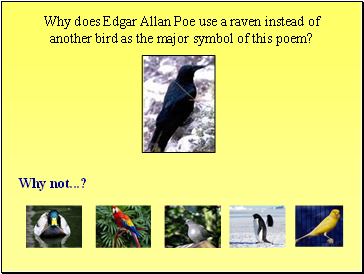 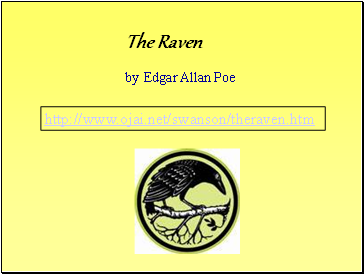 Why does Edgar Allan Poe use a raven instead of another bird as the major symbol of this poem?